This set is perfect for those who play hard and work hard and need to stay at peak performance for long periods at a time. 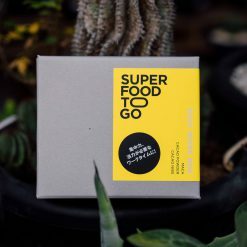 Busy Bee Superfoods To Go contain maca powder, cacao powder and cacao nibs which are made from organic Peruvian produce. The cacao has a pleasing fragrance and rich nutritional content, used to energize one’s body and raise its luster. 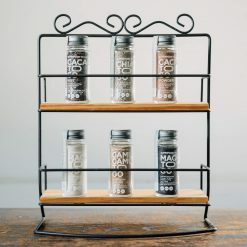 Whilst the maca powder helps balance your body on top of energizing it. 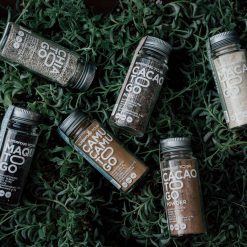 Organic maca roots originate from the harsh environment of the Andes mountains as far back as 2000 years ago. Historically, it has been used as a tonic and a superfood. 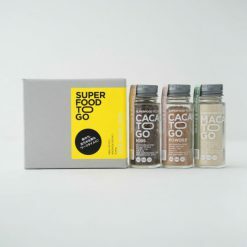 Maca is an extremely popular superfood that is called the “perfect food” because of its high nutritional content. It is particularly popular amongst women to help deal with hormone imbalances and female-specific problems. Maca root contains contains 20 types of amino acids and 7 essential amino acids. This set is perfect for those who play hard and work hard and need to stay at peak performance for long periods at a time.